In the October, 1887 edition of The Presbyterian Quarterly Robert L. Dabney published an article with the title, ‘Spurious Religious Excitements’.1 His biographer, Thomas Cary Johnson, said: ‘This paper ought to be read by most ministers once a year.’2 We believe that the ninety-one years since its publication have served to prove the truth of this contention. Dabney defines religious excitements, in this article, as ‘temporary movements of the emotions devoid of any saving operation of the Truth on the reason and conscience’.3 However, he is careful to note that ‘the efficacious . . . movement of the feelings is just as essential a part of a true religious experience, as the illumination of the intellect by divine truth; for indeed, there is no such thing as the implantation of practical principle, or the right decisions of the will, without feeling. In estimating a work of divine grace as genuine, we should rather ask ourselves whether the right feelings are excited; and excited by divine cause. If so, we need not fear the most intense excitement.’ Indeed, he went so far as to say that ‘on all practical subjects, truth is only influential as it stimulates some practical feeling.’ Thus he seeks to develop some useful guidelines for understanding the nature of false religious excitements, as opposed to true religious feelings. He begins his analysis by recalling certain positions which he had established in a previous article.4 Basic to the present discussion is the fact that, ‘The function of feeling is as essential to the human spirit, and as ever present as the function of cognition. The two are ever combined, as the heat-rays and the light-rays are intermingled in the sunbeams.’ Thus ‘a human spirit is never devoid of some degree of that feeling which the truth then engaging the intelligence tends to excite.’ In order to understand this subject, it is vital that the different types of feelings be ‘distinguished and classified’. The ‘all-important division’ is between two types of impressions or feelings. The first are those impressions which are made upon the soul from causes outside of the person. In receiving these, the soul is itself passive, exercising no self-determining volition [e.g. pain, panic, sympathy]. The second type are ‘those subjective feelings which, while occasioned from without, are self-determined by the spontaneity from within and in which the soul is essentially active, [as desire, benevolence, ambition, etc. ].’ Later he refers to the first type as ‘passive sensibilities’; in other words, feelings, emotions, or impressions stimulated from without involuntarily [i.e. without conscious volition]. The second type he variously calls ‘spontaneous appentencies’, ‘subjective desires’, or simply ‘spontaneity’; that is, desires which are voluntary and unconstrained [though this is not intended to deny the work of the Holy Spirit]. With these distinctions in mind — after noting that this is ‘the psychology of the Bible’ he proceeds to make a number of useful observations and applications. The second class is ‘the involuntary moral emotion of self-blame, or remorse’. This occurs ‘when the ethical reason pronounces its judgment of wrongfulness upon any action or principle’, and ‘it is one’s own action which must be condemned’. That the presence of this emotion is no sure evidence of regeneration is simply proven by noting that ‘It is the most prevalent emotion of hell . . .’. 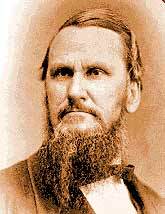 Then Dabney draws two conclusions: (1) ‘Sympathy may infect men with a phase of religious emotion’; and (2) ‘the sympathetic emotions, though thus related as to their source, have no spiritual character whatever in themselves . . .’. This is not to say that such sympathies — placed in us by a Wise Creator — have no value, for they may produce useful results. For example, sympathy with a friend’s grief may lead to efforts to comfort him. ‘an erroneous, synergistic theology’. Those who hold to the Arminian error that the sinner’s will is able to work with God in the initial regeneration, or as some think, make it possible for God to work, will naturally seek methods to produce these ‘carnal acts of will’. Since a man’s theology always has consequences in his practice, this is only natural. ‘Many ministers are unconsciously swayed by the natural love of excitement . . . This natural instinct prompts many an evangelist, without his being distinctly aware of it, to prefer the stirring scenes of the spurious revival to the sober, quiet, laborious work of religious teaching . . . this motive is as unworthy as it is natural’. Finally, the practitioner of these methods simply pleads that his methods work. However, it is sufficient to recall what has already been said about how and why they appear to work, and add to that the distressing cataloque of corollary effects. He must be ‘deeply imbued with scriptural piety and grace’. ‘He must have a faith as firm as a rock, and humble as strong’. To this must be added a ‘profound submission to the divine will, which will calm him amidst all delays and all discouragements . . .’. Vol.3, from which my quotations are taken. Truth Trust, 1977], p 448. Vol. I, pp. 551-74. This article concludes with nine ‘Rules for Pastor in Revival’ which correlate nicely with the article under present consideration. Discussions, Vol. I, p. 574. Preaching and Preachers [Grand Rapids, Michigan: Zondervan Publishing House, 1971, pp. 265-82]; lam Murray, The Invitation System [The Banner of Truth Trust, 1973, 40 pp. pamphlet]. This article was taken from the Banner of Truth Magazine – December 1978, Issue 183, pp. 5-13.